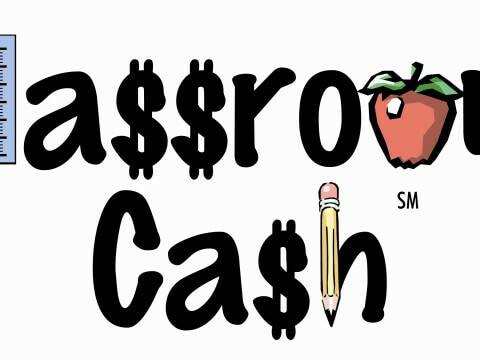 The ICCSD Foundation’s fall Food for Thought: Dine Out for Education event is scheduled for April 4, 2019! School families and community members are encouraged to dine out on Thursday, April 4 at one (or more!) of our participating restaurants and businesses. Participating restaurants will donate 10% of their daily sales to the Foundation’s Excellence Fund. The Excellence Fund supports many ICCSD school programs, including School of the Wild; Symphony Goes to School; Visiting Author; KinderTales; STEM Initiatives and MakerSpaces at the secondary schools; LiveArts for 8th graders; and staff appreciation and recognition. We are especially grateful for the twenty-three loyal restaurant partners that have supported Dine Out for Education for 5 years or more! To see online menus for our restaurant partners and links for take out orders, click here. Fall 2018 began the eighth school year of Dine Out for Education, a program which has generated over $130,000 for our schools since its start in 2011. Thank you to all of the community businesses that have supported our schools in this way! Special thanks to our promotional sponsor, Allegra Iowa City, who provides all of our posters to publicize the event. 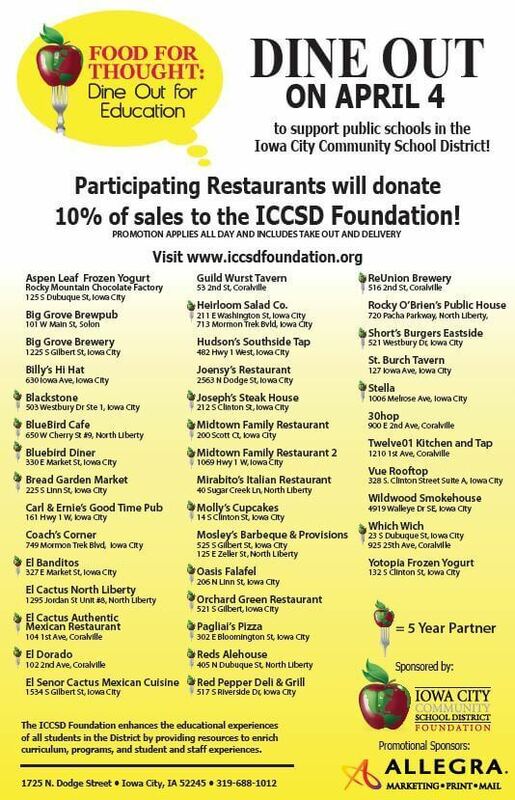 Their generous support allows the ICCSD Foundation to partner with local restaurants twice a year to present Food For Thought: Dine out for Education.